If you have had insufficient funds in your account or written several bad checks, chances are good that you have been reported to the ChexSystems. This system is used to keep track of customers with delinquent or mismanaged accounts, and all banks use the system. That means if you have a problem at one bank, you can’t simple go open another account. They will check the ChexSystems and will see that you have had issues in the past. While there are some banks that will offer second chance checking accounts, many would prefer that you have satisfied old obligations as noted in the ChexSystems. 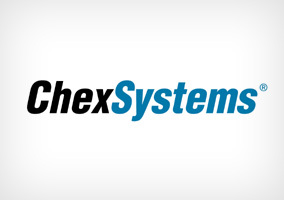 The ChexSystems records account problems such as insufficient funds and fraudulent deposits. Once your account is reported, it will be noted on the ChexSystems for five years. You can request your ChexSystems report for free annually and are allowed to argue against errors on the report. Order your report at the ChexSystems’ website. You will be asked a number of questions and will also have to give your full name, any previous names, and your social security number. They also ask for your driver’s license number for additional verification, but that information is optional, so you don’t have to include it if it makes you uncomfortable. Before you attempt to open a new checking or savings account, you will need to make sure that your ChexSystems report is accurate and that all accounts have been satisfied. Banks that offer second chance accounts are willing to give you another chance, but it is best to have your report show that your accounts are once again in good standing. Pay your balance and retain proof of payment. Have the bank document your payment. Ask the bank manager to write a letter stating that your account has been satisfied and paid in full and that you can now be removed from ChexSystems. Send the letter and proof of payment to ChexSystem. Even if you pay your account in full, you will remain in ChexSystems for five years unless the bank specifically states in the letter that you can be removed from ChexSystems. You can only be removed if the one who reported you also requests your removal.